The buntline hitch was originally employed in securing the foot of a sail of square-rigged ships to buntlines in the age of the sail. Hence the name. Once you finish making and setting the knot, repeated jerking and shaking due to the flapping of the sails further tightens it, instead of loosening. It performs well even in the modern slippery synthetic lines. 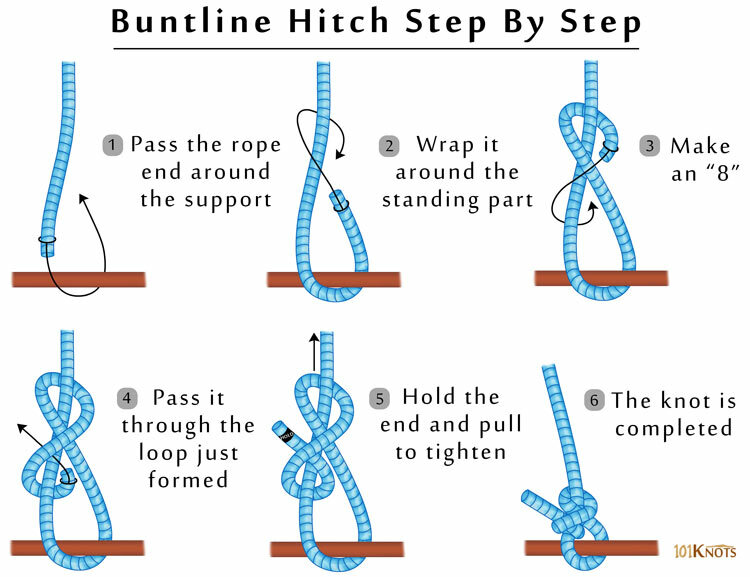 Note that essentially, you are making a clove hitch around the standing part. Slipped buntline hitch – This secure temporary hitch is less prone to jamming. Two half hitches– Though less secure, it does not jam that easily under a load. 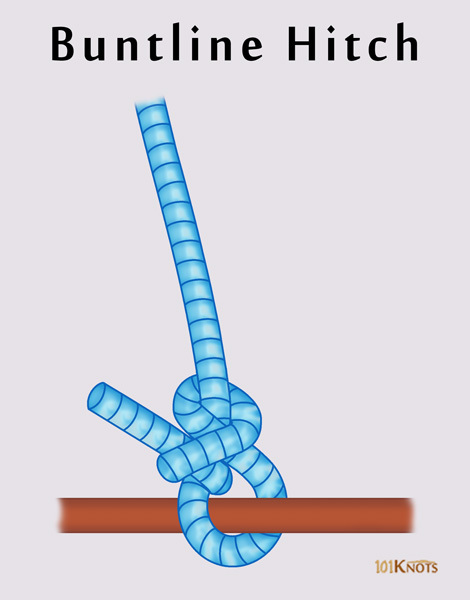 Bowline knot – After taking a load, it doesn’t jam and is much easier to untie. However, the buntline knot is more suited for buntlines. For attaching lines to posts, eyes, railings, rods and rings. Joining a halyard to a sail or shackle.